The former Prime Minister allegedly banned reporting of the “bizarre” incident, off the east coast of England, for half a century amid fears disclosures about unidentified flying objects would create public hysteria. The claims are contained in thousands of pages of declassified files on UFOs, released on Thursday online by the National Archives. The 18 files, which cover from 1995 to 2003, are made up of more than 5,000 pages of reports, letters, and drawings drawn from correspondence with the public and questions raised in parliament. The allegations involving Churchill were made by the grandson of one his personal bodyguards, an RAF officer who overheard the discussion, who wrote to the Ministry of Defence in 1999 inquiring about the incident after his grandfather disclosed details to his family. According to the series of letters, written by the guard’s grandson who is now a physicist from Leicester, a reconnaissance plane and its crew were returning from a mission over occupied Europe when they were involved in the war incident. During their flight, on the English coast, possibly near Cumbria, their aircraft was approached by a metallic UFO which shadowed them. Photographs of the object, which the crew claimed had “hovered noiselessly” near the plane, were taken by the crew. 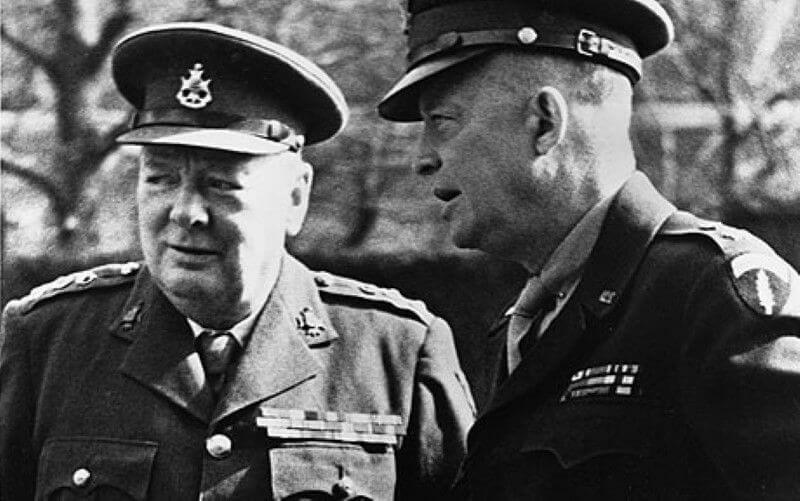 Later, during discussions about the unexplained incident, the two men were claimed to have become so concerned by the incident that Churchill ordered it remain secret for 50 years or more. During the meeting, a weapons expert dismissed suggestions the object was a missile as the event was “totally beyond any imagined capabilities of the time”. Another person at the meeting raised the possibility of a UFO, at which point Churchill ordered the report to be classified for at least half a century and reviewed by the prime minister to stop “panic” spreading. “There was a general inability for either side to match a plausible account to these observations, and this caused a high degree of concern,” wrote the scientist, whose details are redacted. Apart from telling his daughter – the scientist’s mother – about the incident when she was nine, the bodyguard, who was “greatly affected by his experience”, only disclosed the details to his wife on his deathbed in 1973. The scientist, also an expert in astronomy who said he developed software for use in “spacecraft thermal engineering”, was told years later by his mother. Stressing he was not a “crackpot”, he said he wanted to investigate the science behind the incident after his grandfather, who was bound by the Official Secrets Act, remained convinced that the object was secret technology being tested by a foreign power. After investigating the claims, an MoD official said there was no evidence to support the claims as all “UFO files before 1967 were destroyed after five years” due to insufficient public interest. This was supported by a Cabinet Office official. While there was documents supporting the events, historians last night believed it more than likely occurred. They said that Churchill had a known interest with UFOs, even asking for a report in 1952 on “flying saucers” and what it “amounted to”. Dr David Clarke, author of The UFO files and Senior Lecturer in Journalism at Sheffield Hallam University, said the “fascinating” files showed the level of concern about such “bizarre incidents” during the war. “It does tie in with what we already know as you have to remember that this was also long before the phrase UFO was created,” he said. Our world may be a giant hologram…….